Createspace Independent Publishing Platform, 9781511695046, 192pp. When you look around and realize that the people filling the pews in your church represent traits you find reprehensible, you can do two things. You can keep your head down and become like them. Or you can follow author Eleanor L. Tomczyk's example, reexamine everything you believe, and write a hilarious memoir about losing your religion. And that's precisely what she does. 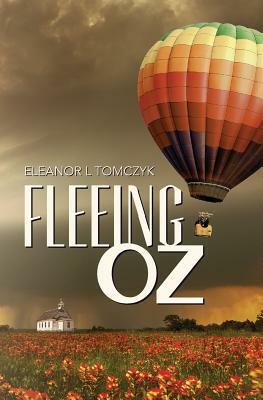 Fleeing Oz chronicles Tomczyk's journey from a wide-eyed, eager believer to a battered but not beaten refugee of the culture wars. From her early days as an African American girl living on a cultlike communal farm with a bunch of white kids, to her final escape from organized religion right before Barack Obama's election in 2008, Tomczyk tells her story with grace. Far from cruel or mocking, Tomczyk resists the temptation to do unto others as they have done unto her, choosing instead to use humor where others might use hate. An edgy coming-of-age tale about a baby boomer who wants to follow God without getting crushed by God's people in the process, Fleeing Oz will cause anyone who's ever struggled with faith, doubt, and disillusionment to stand up and say "amen." Though retired now, Eleanor L. Tomczyk has worked as a teacher, an actress, a singer, and an award-winning voiceover artist. She is the author of Monsters' Throwdown and a writer of the humor blog How the Hell Did I End Up Here? Tomczyk currently lives in Virginia. She survived raising two children and now enjoys teaching her delightful grandson how to make cakes and tripping over two grand-dogs, Wednesday Addams and Chuck the Pup, when she's not traveling the world with the love of her life. Learn more about her at www.eleanortomczyk.com. This is her second book.